Get in touch for my current prices for expert Dampness and Timber investigations and any further information that you may require. Click here to view our complaints policy. Does the property have an attic and/or cellar? 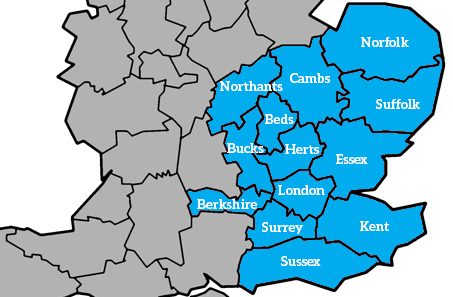 I am based in the South East and cover the areas of Greater London, Beds, Cambs, Northants, Bucks, Herts, Norfolk, Suffolk, Sussex, Berks, Essex, Kent, Surrey. However, I will also consider other areas so please get in touch for a personalised quotation.